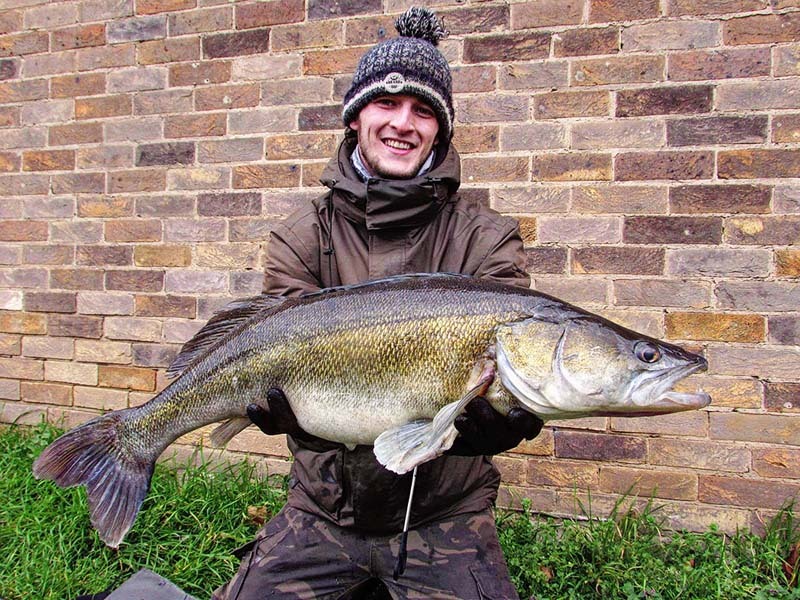 A series of monster zander catches – topped by a new River Nene record – suggests that now is the time to target one of the nation’s most popular – and controversial – species. Zander are widely blamed by many for declining silver fish stocks in canals and rivers, although those who have been targeting them have been enjoying bumper sessions, with specimen fish being banked. One is 23-year-old Harry Langley, who took this 17lb 4oz leviathan from the River Nene in Cambridgeshire. 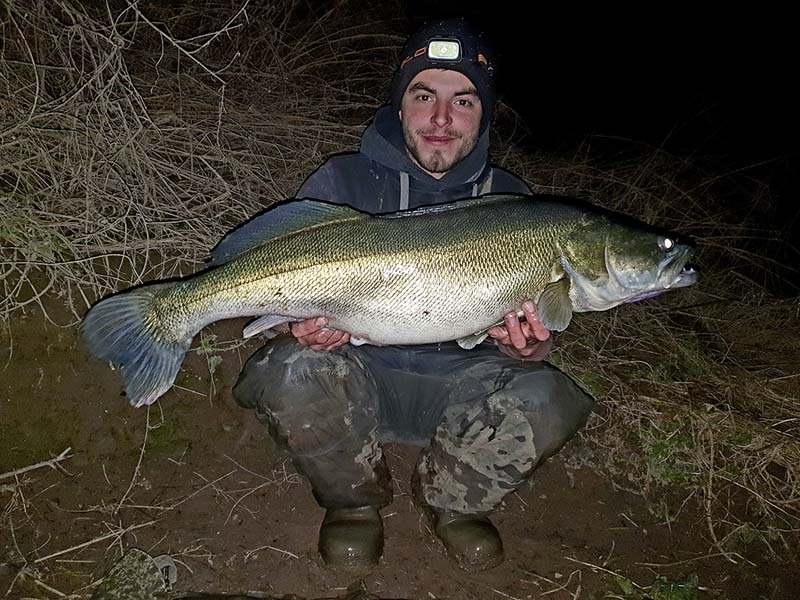 Harry, who already owns the Nene perch and zander records with fish of 4lb 12oz and 16lb 8oz, upped the waterway’s ‘zed’ record once again when a lure session yielded the 17lb-plus beast. “From the moment it smashed into my lure I knew it was a huge fish,” said Harry. “I never thought I’d beat my previous pb of 16lb 8oz but when I saw the 17-pounder in the net I just knew it had topped that. Harry cast a Fox Rage Zander Pro shad into a deep hole on the river to fool the fine fish. Another 17lb-plus zander also graced the Angling Times newsdesk last week, and it fell to Ian Wilson in the form of a superb 17lb 13oz specimen. The Retford-based zander expert demolished his previous personal best of 16lb 13oz when a trip to the River Trent turned into gold. He said: “After catching a recent brace of zander I decided to try that section of river again. “I fished three rods – one in the margin and two out in the flow with roach deadbaits on two of them and lamprey on the other. “After many hours of inactivity I got a run on one of the roach rods just as the light was fading. Ian’s winning set-up boasted a 2.25 TC Shimano rod coupled with 50lb whiplash braid and two size 8 treble hooks. These were mounted on 28lb Drennan trace wire and a running 4oz ledger. The final angler to round off an incredible week for big ‘zeds’ was British record zander holder James Benfield with a beauty weighing 16lb 8oz. The 31-year-old predator ace struck into the fine beast during an evening roving session on a deep stretch of the River Severn. He added: “I reached my second swim of the session and lowered my rig into a hole of about 14ft-15ft deep. James used half a dead roach mounted on a single treble hook to tempt the fish.